Beginners, families, couples, groups, and seasoned pros are all welcome to join in Rock Climbing and Cliff Camping adventures with us. Whether you want a half day or a fun full day on the rocks or a challenging climb through the surrounding mountain area, we personalize your day to fit your goals and ambitions. Locally owned and operated out of the Estes Park valley for 28 years, we have shared our love and passion for rock climbing with people of all ages and abilities. We’ll provide you with an exceptional adventure while you climb with your guide through the vertical mountainsides of Estes Park. Climbing is much more than being linked by a rope! Our goal is for you to walk away with memories that will last a lifetime, not to mention a love for a sport that will keep you coming back for more. If you are looking for an extreme adventure experience, try our cliff camping. 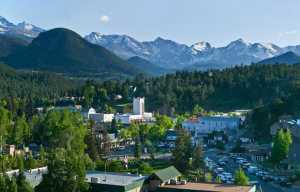 This unique and exciting opportunity is only available here in Estes Park with us! You’ll spend an evening, or an afternoon, perched on the side of a mountain with one of the most outstanding views you can imagine 100s of feet in the air. It’s a perfect way to celebrate a special occasion, take amazing photos, and have the experience of a lifetime! This is an adventure you’ll want to mark off your bucket list. 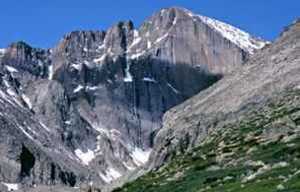 “KMAC is an accredited member of the American Mountain Guides Association (AMGA). AMGA program accreditation demonstrates that KMAC complies and operates within rigorous industry standards for climbing schools and guide services. “ We look forward to climbing with you soon!